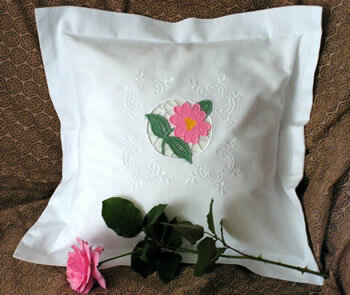 This is a set of 4 machine embroidery designs for decorating pillow cases, tablecloth, etc. The set includes 2 lace embroidery floral decorations, 1 lace border and 1 lace corner embroidery design. 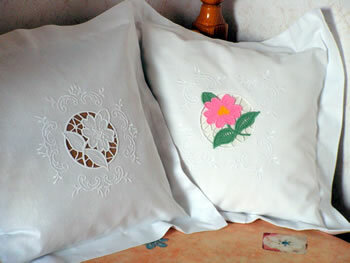 One of the floral decorations is free standing lace and the other is cutwork lace. The second design is available in both mono color and a color version. 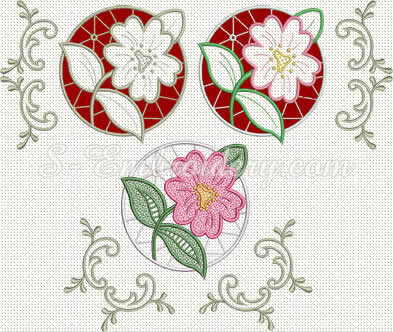 This machine embroidery lace design is available in 2 versions - a color and a monocolor.